As the World Cup teams finished up group rounds, fans from across the world gathered in Russia in support of their respective home countries. From South Korea to Panama, these fans donned the colors of their national flags, bowed their heads at the sound of their national anthems, and sang loudly the chants of their national languages. Simultaneously, 4,000 miles away in Kuala Lumpur, Malaysia, another soccer tournament was taking place. This match was not attended by thousands, the players may not have trained for years or had the same professional resources as those competing in Russia, and there were no national anthems to sing or national flags to wave. Instead, their jerseys proudly display the letters RFC or RFM— Rohingya Football Club or Rohingya Football Malaysia. These teams are made up entirely of Rohingya, a Muslim minority group who are have been,and continue to be,persecuted and denied citizenship in the predominantly Buddhist country of Burma (Myanmar) and neighboring Bangladesh. 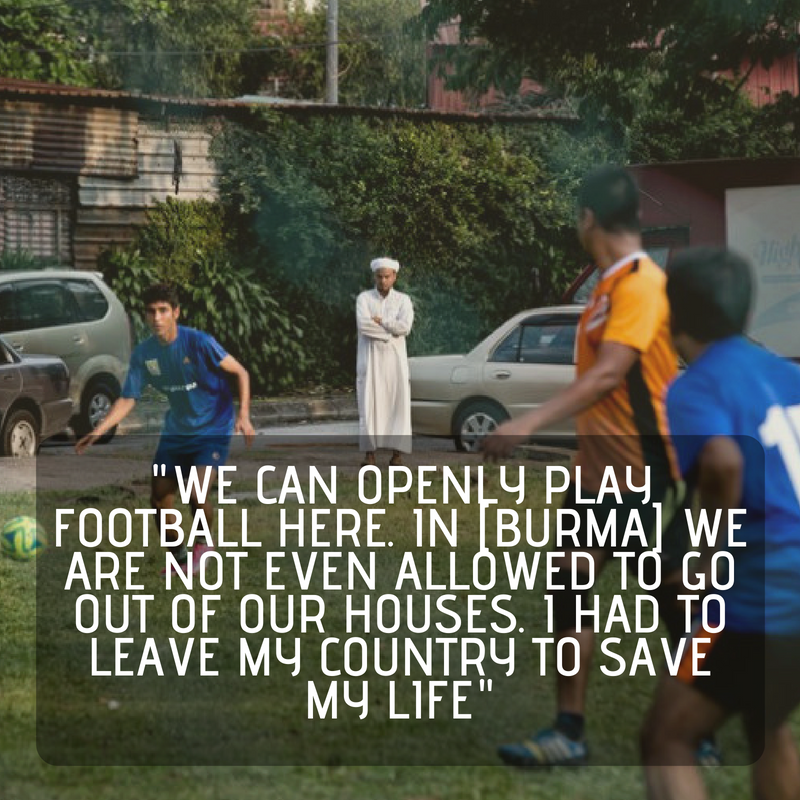 Though these players, who are also refugees from Burma, have found respite in Malaysia, they are still formally considered stateless and, therefore, do not have the same rights as people with statehood – right that include the ability to legally work or travel outside of the country. RFC hopes to make a better life for future generations of Rohingya by bringing awareness to the crimes taking place in Burma as well as proving that the Rohingya can achieve greatness if only given the opportunity. “We want to tell Rohingya youngsters that they can be whatever they want in the world. We want to promote the social development of our people,” said RFC co-founder Muhammad Noor. 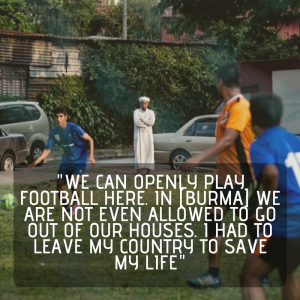 The Rohingya are not the only peoples for whom soccer has been a haven. The Confederation of Independent Football Associations (CONIFA), is an organization of 47 teams all comprised of minority ethnic groups, refugees, diaspora, stateless persons, and nations not recognized by FIFA. One of the most well-known teams that participates in the CONIFA World Cup each year is Darfur United, a team of refugees from Darfur, Sudan, who have been resettled in Östersund, Sweden. For many years sports, and soccer in particular, have been used to heal individual pain and reconcile fractured communities. After the 1994 Rwandan Genocide, organizations such as Football for Hope, Peace and Unity were established to bring together Rwandan youth and ensure that violent conflict would not take place in the country again. Similar tactics have been employed in the post-conflict countries of South Africa, Colombia, Bosnia, Liberia, and countless others. Soccer brings people together— it’s an activity in which to find a community, to gain confidence, and, for many, to escape the harsh realities of life. It’s a chance for individuals to shed their victim status and focus on personal improvement. For generations, soccer has been used as a healing program to foster peace, unity, and reconciliation in post-conflict countries. From post-genocide Rwanda and Bosnia to contemporary conflicts in Burma and Sudan, soccer has proved beneficial in empowering traumatized individuals and bringing together devastated communities. So, if you’re enjoying watching this year’s World Cup, check out one of the many inspirational teams not recognized by FIFA! Casey Bush is one of STAND USA’s Student Directors. 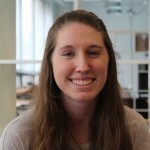 She is a senior at Clark University, where she studies History and Holocaust and Genocide Studies. She has previously served in several roles with STAND, including as a summer intern and as Campaigns Coordinator, and she has also served as the chapter president of Clark’s STAND chapter. 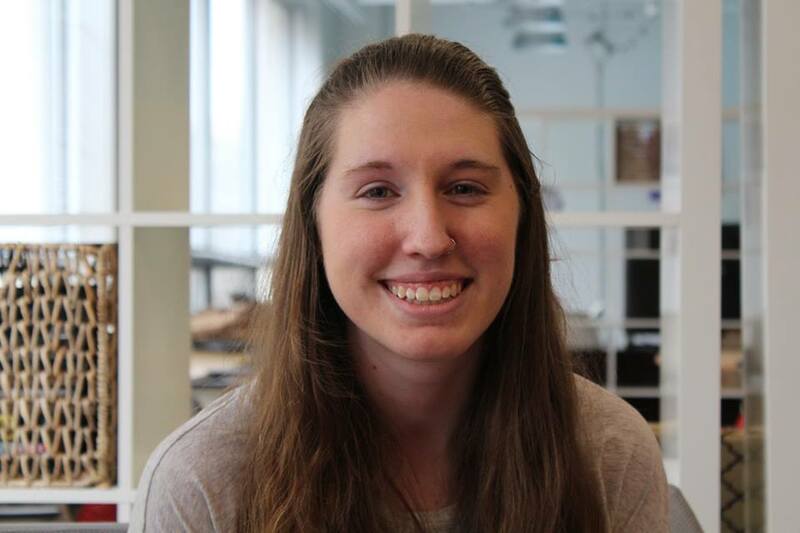 Casey is currently interning at the Buchenwald Memorial, a former concentration camp in Weimar, Germany. This entry was posted in Burma and tagged rohingya. Bookmark the permalink.